The daughter, who looks to be in her mid-twenties, has no interest in revealing her age. Son took over this spot in the 90s, when her sister-in-law retired. 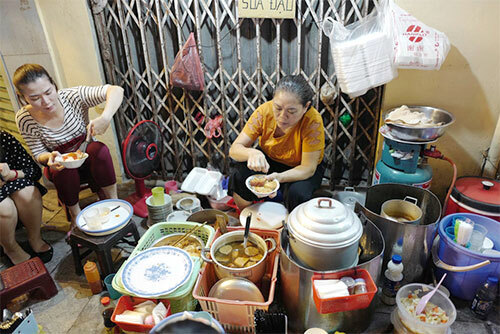 Her sticky rice spot is very small, about five square meters. 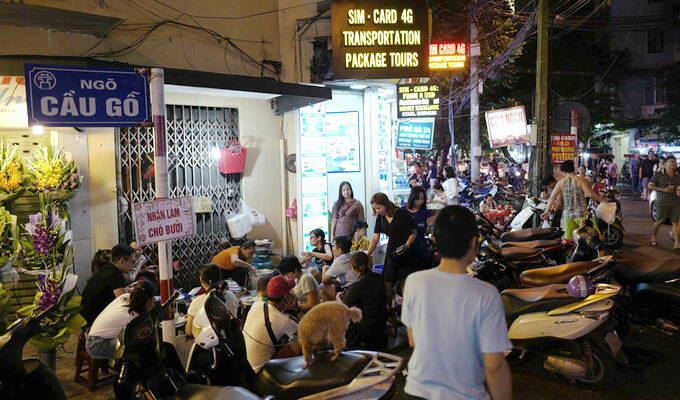 Customers sit on low chairs typical of such eateries. Son uses a pair of large-sized chopsticks to pick steaming hot sticky rice from a large vessel. The sticky rice pot is placed in the middle, caramelized pork and eggs one side, and pork pie on another. 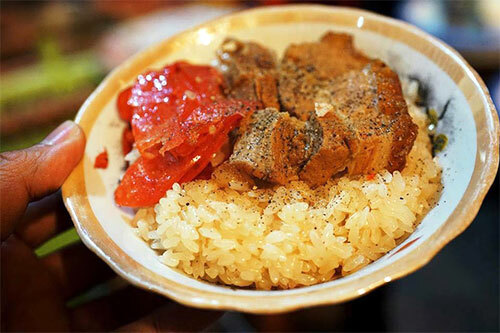 Soft and tender sticky rice served with caramelized pork and dried sausage, with a little gravy and ground pepper. Son’s pork pie pot with gravy. Along with a side dish like pickled vegetables that add even greater taste to sticky rice, a serving costs just VND20,000 ($0.8). Not a bad price to pay for a delicious, filling dinner. Vietnam is world-famous for its diverse, flavorful and balanced cuisine, and Hanoi food is especially interesting. Explore Hanoi and enjoy the street food from the country of these delicious dishes.